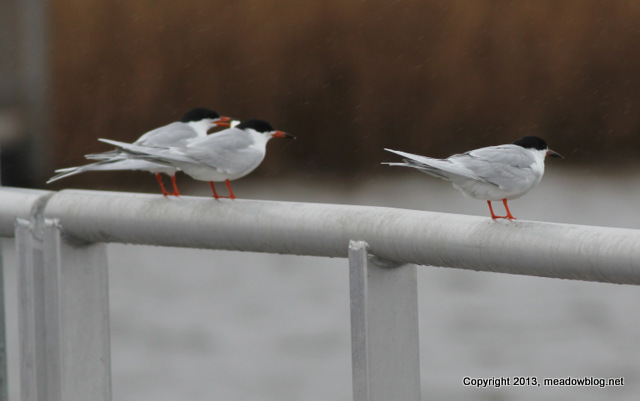 Forster’s Terns Are Back @ DeKorte! Sat., April 20, 9:30 – 11:30 a.m. 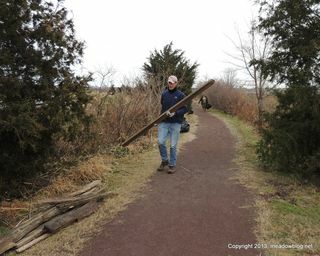 In honor of Earth Day, the N.J. Meadowlands Commission and the Bergen County Audubon Society are doing a cleanup of the Mill Creek Marsh walking trails on Saturday, April 20, from 9:30 a.m. to 11:30 a.m. This beautiful 207-acre marsh and park had several downed trees and lots of washed-up debris from Hurricane Sandy, and we want to remove the remaining brush and downed branches. We’ll also clean up any litter brought in with the tides. Participants must wear work gloves and protective clothing and footwear and sign a liability release. The release will be available on Saturday, and is also ready for download now (see below). Participants must be at least 16 years old; 16- and 17-year-old participants must have the liability release signed by a parent or guardian. For more information, e-mail the NJMC’s Jim Wright at jim.wright@njmeadowlands.gov or call him at 201-469-7349. Sat., April 20, 12:30 – 3 p.m. 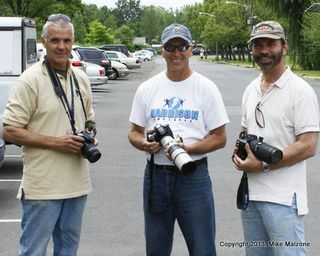 In honor of Earth Day, the Kearny Library is offering a presentation by the Community Garden Club and a slide show and talk about "The Nature of the Meadowlands," featuring author Jim Wright (who wrote the book for the Meadowlands Commission) and principal photographers Ron Shields of Kearny and Marco Van Brabant (who works in Kearny). The event is free and features a light brunch. Everyone is welcome. The Kearny Public Library is located at 318 Kearny Ave. For more information on this or other programs, call (201) 998-2666 or visit www.kearnylibrary.org. 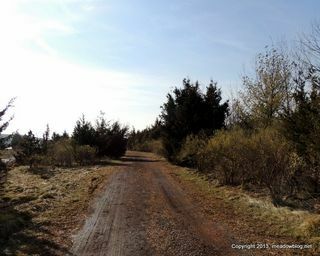 "Here are some recent close-up shots from throughout the Meadowlands. "The pheasant had surprisingly survived multiple Red-tailed Hawk attacks and was under its watchful eye when photographed." 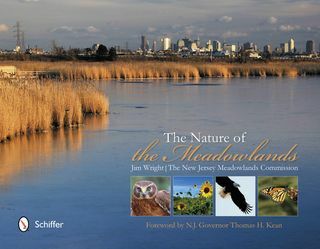 To celebrate upcoming Earth Day, join Governor Thomas H. Kean and Jim Wright of the New Jersey Meadowlands Commission (NJMC) on Sunday for a free talk on New Jersey’s environment, featuring “The Nature of the Meadowlands,*” the NJMC’s new coffee-table book written by Jim. 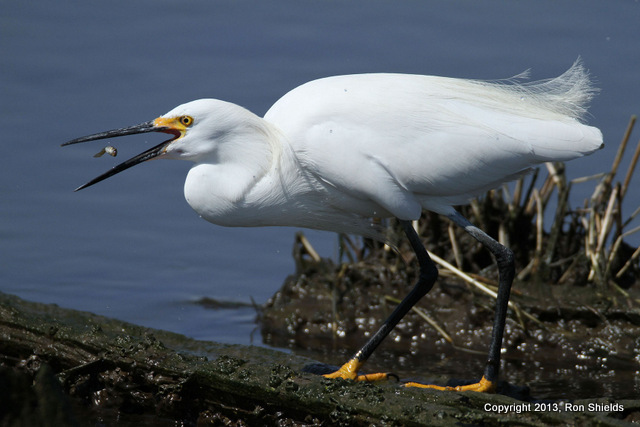 Also appearing will be Bob Allen, Director of Conservation of The Nature Conservancy (TNC) in New Jersey, who will speak about TNC’s vision for land preservation in the Garden State. The event will run from 2 to 3:30 p.m.at the Ridgewood Public Library, 125 N. Maple Ave. in Ridgewood.